Translations by Birgit Reß-Bohusch (MacIntyre and Kelly), Jürgen Langowski (Webb), Biggy Winter (Longyear) and Eva Brossmann (Duntemann); Wiesmeier's story is original to this anthology. 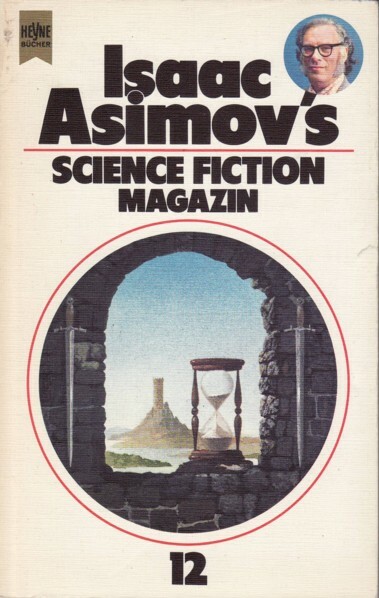 It's 'Asimov's' on the cover, but 'Asimovs' on title page. Morris Scott Dollens credited on copyright page as cover artist, but according to p. 99 in this publication art is by Thole (which also seems to be more likely regarding the style). Title for Heyne SF-Börse taken from contents page; this essay is continued on p. 175. Month deducted from publishing schedule of Heyne SF & Fantasy in the latter half of 1981 (six to seven books per month).